The above downloadable worksheet is a great resource for high school students at Pre-intermediate (A2) and Intermediate (B1) level. 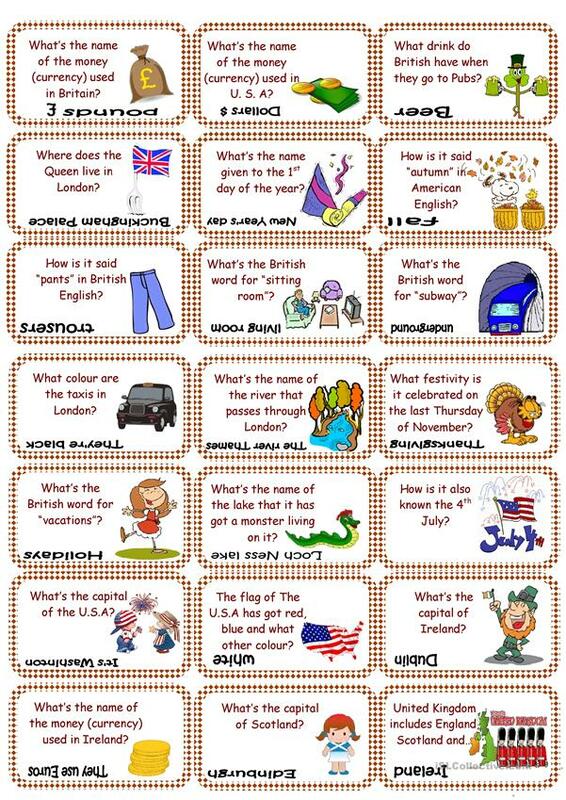 It is aimed at consolidating Questions in English, and is useful for enhancing your groups' Listening, Speaking and Reading skills. It focuses on the topic and words of American/British English.